The above image shows five 4chan users, the one in the middle being a running back for the Houston Texans. 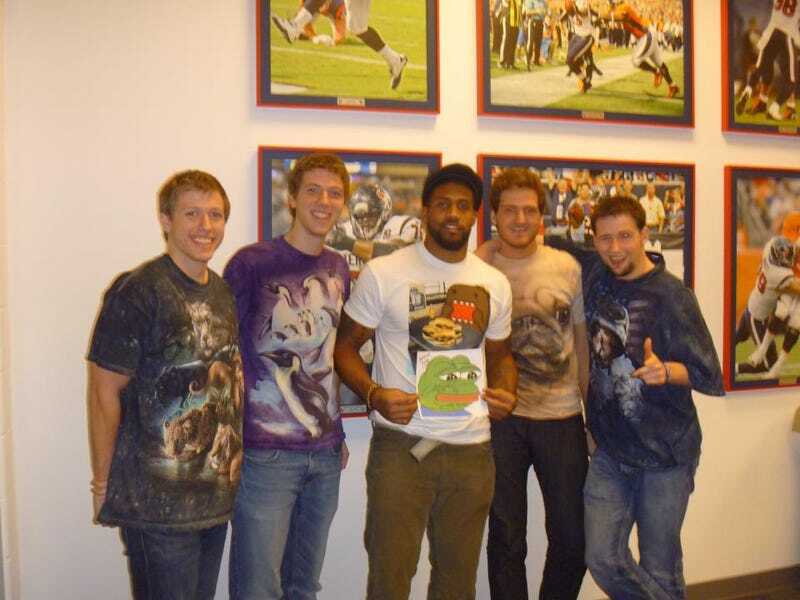 Apparently the four guys in the zany animal t-shirts are posters from 4chan's /sp/ board, who, with the immense voting power of the 4chan behind them, won an internet contest to meet Arian Foster. And they used the opportunity to get Foster hold up some meme thing. Not that Foster could claim to be too cool for memes, wearing that Dōmo-kun t-shirt. Nor can I, knowing what Dōmo-kun is.